Gray skies and an abundance of cold weather has our inner gardener pleading for spring. The lure of newly turned dirt, early buds and nesting birds leaves us longing for color. Luckily these Etsy up-cycle artists bring spring into early bloom in ways that let Mother Nature know the winter grays won't get us down. 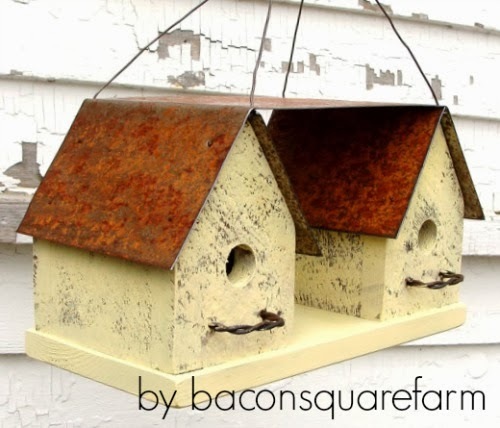 Recycled wood and tin become rustic chic birdhouses at baconsquarefarm. Feathered friends love beautiful lodging! Browse all of Bacon Square Farm's inventory to chose a splash of rustic color to liven your outside space. Just because the garden is dormant doesn't mean the botanical spirits have to hide. 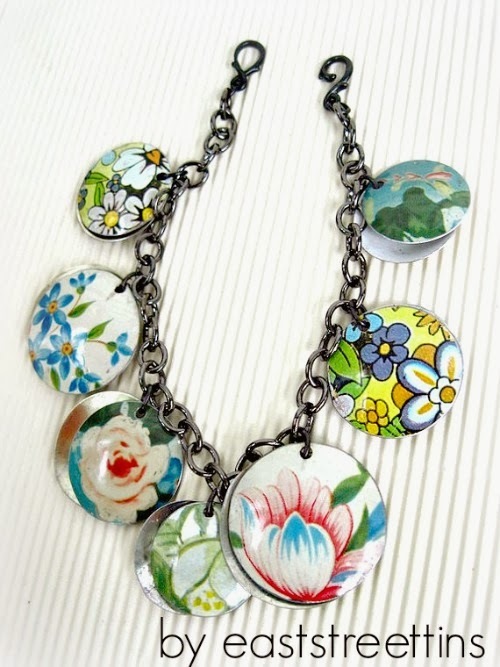 Wear your own flowers with up-cycled tin jewelry from eaststreettins. Lightweight and gorgeous, these unique accessories are guaranteed to brighten any cold February day! Teach your garden some manners this year with up-cycled flatware herb stakes. 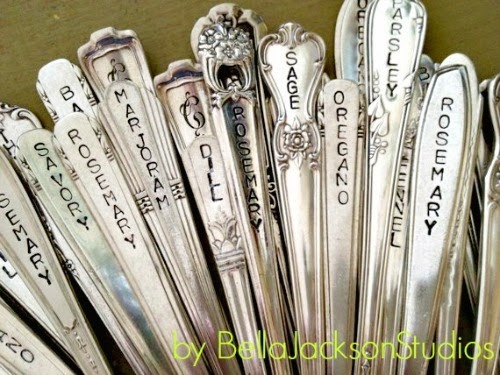 BellaJacksonStudios can capture your inner aristocrat and custom stamp spring sentiments into silver works of whimsy. Planning on a garden wedding? Check out this artist's wedding wonders! 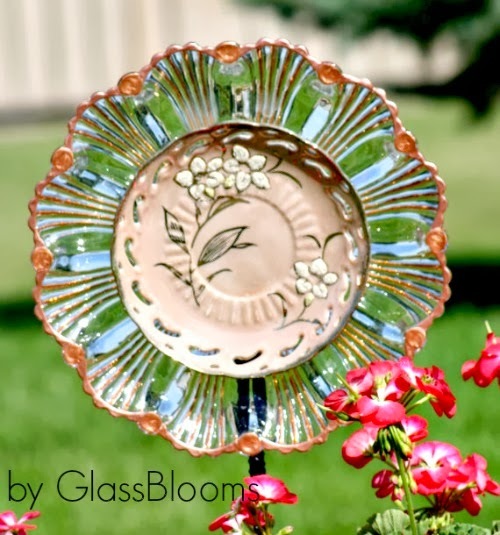 Go full-bloom early with GlassBlooms flowers! These vibrant beauties are up-cycled from random plates to create stunning petals that capture the sun and the imagination. 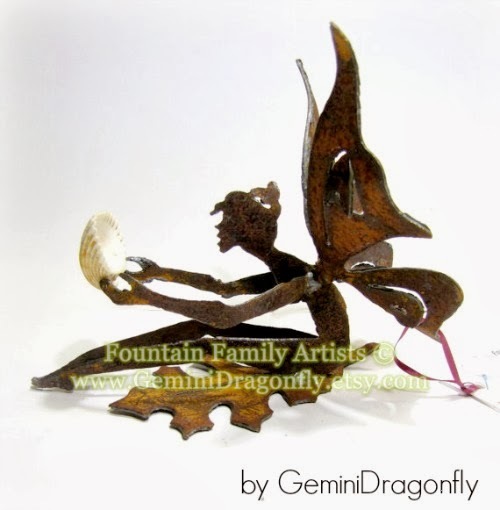 Find whimsical metal sculpture at GeminiDragonfly where nature and up-cycling walk hand in hand. Every garden needs a fairy and Gemini Dragon gets my vote for best on Etsy. No need to double check your vision- YES!! Their prices are that reasonable for so much sweetness!! 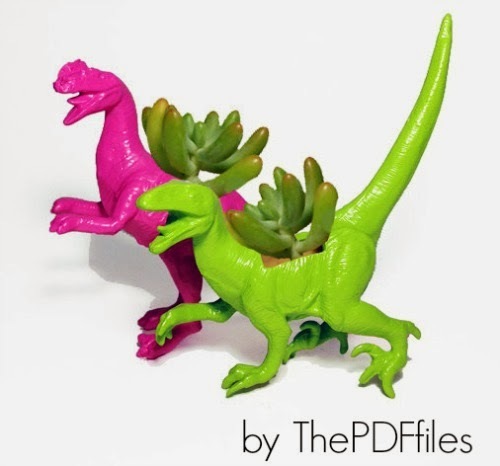 Let Mother Nature know you can grow year round with these playful dinosaur planters from ThePDFfiles. Who needs sunshine when a room is brightened with kitschy chuckles? Perfect for gardeners of all ages and soil types! For more anti-winter-blues shopping search recycled garden on Etsy.